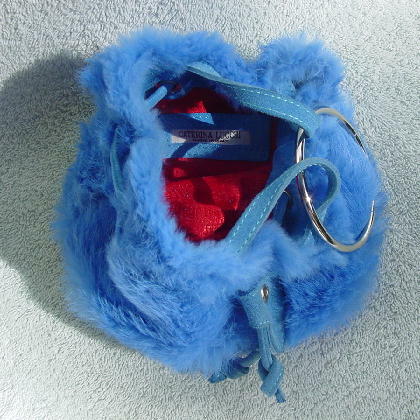 This never-used blue rabbit fur evening purse is by Caterina Lucchi and was made in Italy. 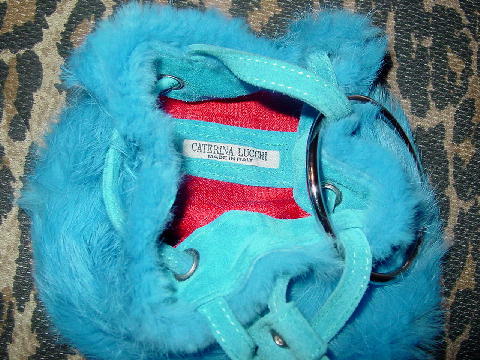 It has a red lining with her name in tone-on-tone letters all over it. 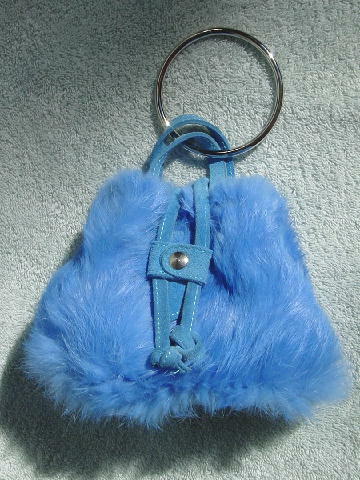 The exterior bottom, interior 1 1/4" wide top and drawstrings and holder are in light blue suede. 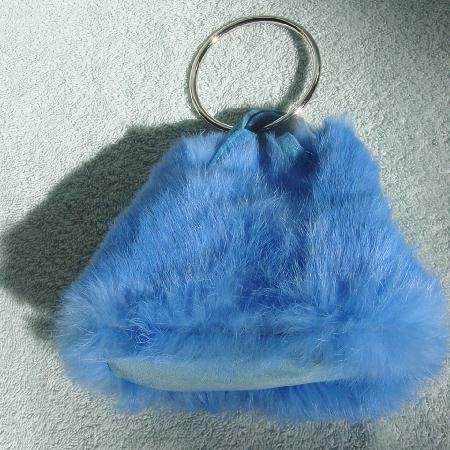 The 2 handles (5" long by 3/8" wide) are also in suede and they hold the silver-tone metal wrist ring. top opening 4 1/2" by 4 1/2"